Has the Xoom 2 lived up to the expectations and hype? 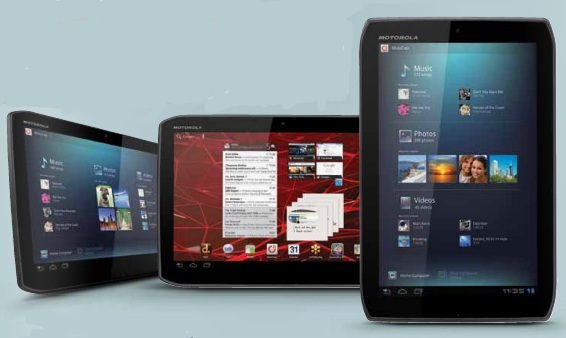 The original Motorola Xoom was a huge step for the rapidly growing Android environment, carrying Android 3.0 Honeycomb and bringing a new "tablet friendly" operating system to users. As many did, I expected the Xoom 2 to launch with 4.0 Ice Cream Sandwich: Sadly, No! When I questioned Motorola about this on Twitter: Their response was less than satisfactory. A couple of interesting wifi dropouts when in portrait mode, hope it's not another antenna-gate! I can't put my finger on exactly what it is, but I like this device. The tablet "feels good" in your hands, it's lightweight, the screen is really nice (not brilliant) and the battery life I found to be outstanding. The biggest thing that this tablet is missing is Ice Cream Sandwich! Having used ICS tablets, then gone back to Honeycomb for this review I can see some obvious holes in the OS that have been plugged by ICS. Including performance issues that would be resolved by updating. There's a few times when the tablet isn't as snappy as the hardware should be, I can only put this down to honeycomb. here The hardware is good, very good! It looks great, it feels nice to use, it's got great battery life, but it's lacking something very important when it comes to tablets in the current market: That's right! Ice Cream Sandwich - Despite their "it will be released ASAP" response, I'm honestly not satisfied with that as an answer. Why is it that development would not take a half step back to incorporate ICS, when it's the market standard. It's disappointing, but Motorola have only let themselves down with this. The Xoom 2 is very good, I wanted it to be and it could have been great, but it's just doesn't stand out among the other Android Tablets and has certainly been lost in the hype around the launch of the new iPad. I think Phil Nickinson summed it up best when I was talking with him, he stated "It's nice hardware, but the same old honeycomb". I can't put my finger on exactly what it is, but I like this device. The tablet "feels good" in your hands, it's lightweight, the screen is really nice (not brilliant) and the battery life I found to be outstanding. Although The biggest thing that this tablet is missing is Ice Cream Sandwich! Having used ICS tablets, then gone back to Honeycomb for this review I can see some obvious holes in the OS that have been plugged by ICS. Including performance issues that would be resolved by updating. There's a few times when here The hardware is good, very good! It looks great, it feels nice to use, it's got great battery life, but it's lacking something very important when it comes to tablets in the current market: That's right! Ice Cream Sandwich - Despite their "it will be released ASAP" response, I'm honestly not satisfied with that as an answer. Why is it that development would not take a half step back to incorporate ICS, when it's the market standard. It's disappointing, but Motorola have only let themselves down with this. The Xoom 2 is very good, I wanted it to be and it could have been great, but it's just doesn't stand out among the other Android Tablets and has certainly been lost in the hype around the launch of the new iPad. I can't put my finger on exactly what it is, but I like this device. The tablet "feels good" in your hands, it's lightweight, the screen is really nice (not brilliant) and the battery life I found to be outstanding. Although The biggest thing that this tablet is missing is Ice Cream Sandwich! Having used ICS tablets, then gone back to Honeycomb for this review I can see some obvious holes in the OS that have been plugged by ICS. Including performance issues that would be resolved by updating. The hardware is good, very good! It looks great, it feels nice to use, it's got great battery life, but it's lacking something very important when it comes to tablets in the current market: That's right! Ice Cream Sandwich - Despite their "it will be released ASAP" response, I'm honestly not satisfied with that as an answer. Why is it that development would not take a half step back to incorporate ICS, when it's the market standard. It's disappointing, but Motorola have only let themselves down with this. The Xoom 2 is very good, I wanted it to be and it could have been great, but it's just doesn't stand out among the other Android Tablets and has certainly been lost in the hype around the launch of the new iPad. I can't put my finger on exactly what it is, but I like this device. The tablet "feels good" in your hands, it's lightweight, the screen is really nice (not brilliant) and the battery life I found to be outstanding. Although The biggest thing that this tablet is missing is Ice Cream Sandwich! Having used ICS tablets, then gone back to Honeycomb for this review I can see some obvious holes in the OS that have been plugged by ICS. Including performance issues that would be resolved by updating. From The hardware is good, very good! It looks great, it feels nice to use, it's got great battery life, but it's lacking something very important when it comes to tablets in the current market: That's right! Ice Cream Sandwich - Despite their "it will be released ASAP" response, I'm honestly not satisfied with that as an answer. Why is it that development would not take a half step back to incorporate ICS, when it's the market standard. It's disappointing, but Motorola have only let themselves down with this. The Xoom 2 is very good, I wanted it to be and it could have been great, but it's just doesn't stand out among the other Android Tablets and has certainly been lost in the hype around the launch of the new iPad. I can't put my finger on exactly what it is, but I like this device. The tablet "feels good" in your hands, it's lightweight, the screen is really nice (not brilliant) and the battery life I found to be outstanding. Although The biggest thing that this tablet is missing is Ice Cream Sandwich! Having used ICS tablets, then gone back to Honeycomb for this review I can see some obvious holes in the OS that have been plugged by ICS. Including performance issues that would be resolved by updating. From The hardware is good, very good! It looks great, it feels nice to use, it's got great battery life, but it's lacking something very important when it comes to tablets in the current market: That's right! Ice Cream Sandwich - Despite their "it will be released ASAP" response, I'm honestly not satisfied with that as an answer. Why is it that development would not take a half step back to incorporate ICS, when it's the market standard. It's disappointing, but Motorola have only let themselves down with this. The Xoom 2 is very good and could have been great, but it's just doesn't stand out among the other Android Tablets and has certainly been lost in the hype around the launch of the new iPad. Has the Xoom 2 lived up to the expectations and hype? The original Motorola Xoom was a huge step for the rapidly growing Android environment, carrying Android 3.0 Honeycomb and bringing a new "tablet friendly" operating system to users. As many did, I expected the Xoom 2 to launch with 4.0 Ice Cream Sandwich: Sadly, No! When I questioned Motorola about this on Twitter their response was less than satisfactory. I can't put my finger on exactly what it is, but I like this device. The tablet "feels good" in your hands, it's lightweight, the screen is really nice (not brilliant) and the battery life I found to be outstanding. Although The biggest thing that this tablet is missing is Ice Cream Sandwich! Having used ICS tablets, then gone back to Honeycomb for this review I can see some obvious holes in the OS that have been plugged by ICS. Including performance issues that would be resolved by updating. I can't put my finger on exactly what it is, but I like this device. The tablet "feels good" in your hands, it's lightweight, the screen is really nice (not brilliant) and the battery life I found to be outstanding. The biggest thing that this tablet is missing is Ice Cream Sandwich! Having used ICS tablets, then gone back to Honeycomb for this review I can see some obvious holes in the OS that have been plugged by ICS. Including performance issues that would be resolved by updating. Has the Xoom 2 lived up to the expectations and hype? 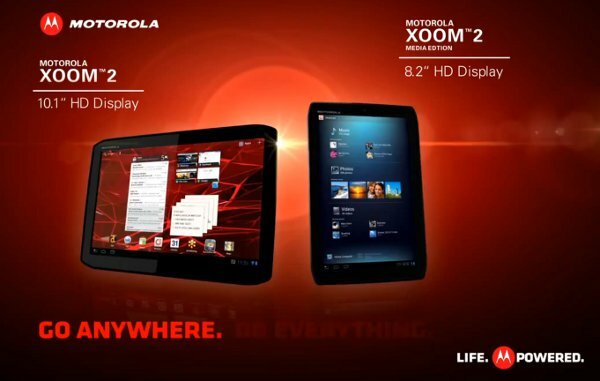 The original Motorola Xoom was a huge step for the rapidly growing Android environment, carrying Android 3.0 Honeycomb and bringing a new "tablet friendly" operating system to users. As many did, I expected the Xoom 2 to launch with 4.0 Ice Cream Sandwich: Sadly, No! The original Motorola Xoom was a huge step for the rapidly growing Android environment, carrying Android 3.0 Honeycomb and bringing a new "tablet friendly" operating system to users. As many did, I expected the Xoom 2 to launch with 4.0 Ice Cream Sandwich: Sadly, No!